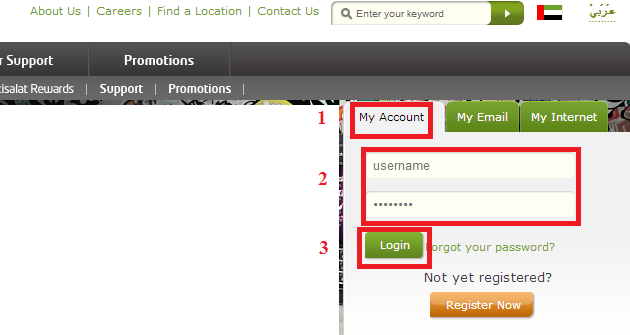 PS: you can use eLife username and password also but please choose unique. 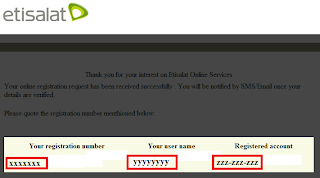 g) You will receive the registration number note down, call 101 and provide the registration number for activation. 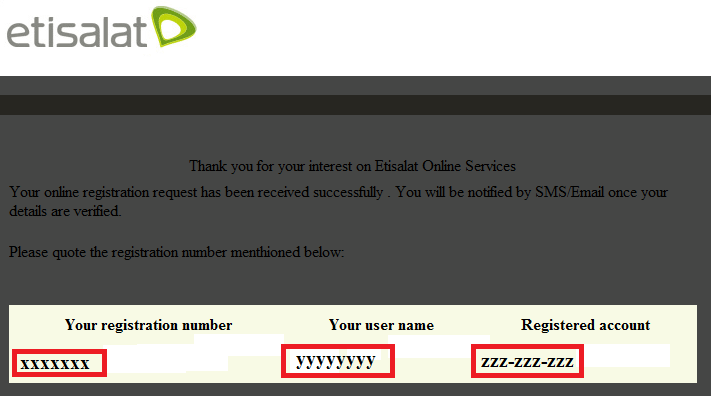 h) Go to etisalat main page again (http://etisalat.ae) and go to Account Login > My Account. 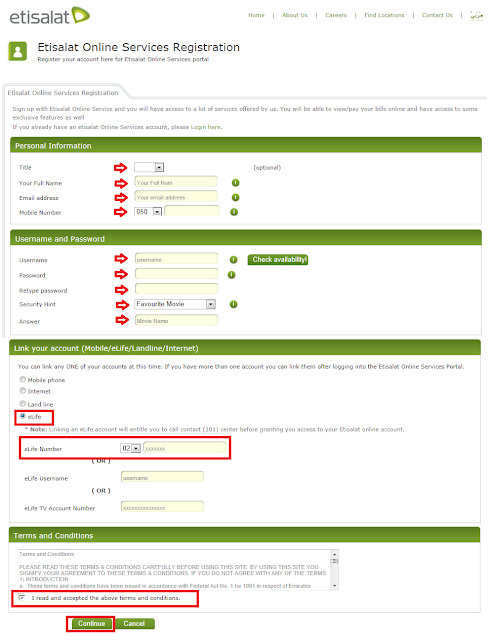 Login with newly created username and password. i) You can view billing details here.